Welcome to another challenge from the Ribbon Carousel Blog! 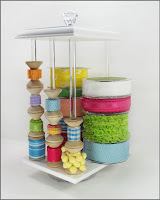 This months RCC Challenge theme is Anything Goes (be sure to add anything that comes on a spool to your project), continue reading below on how you can play along and enter to win a Ribbon Carousel! 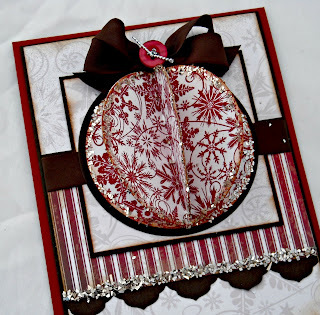 Inspiration for the challenge is posted every Tuesday Ribbon Carousel Blog! 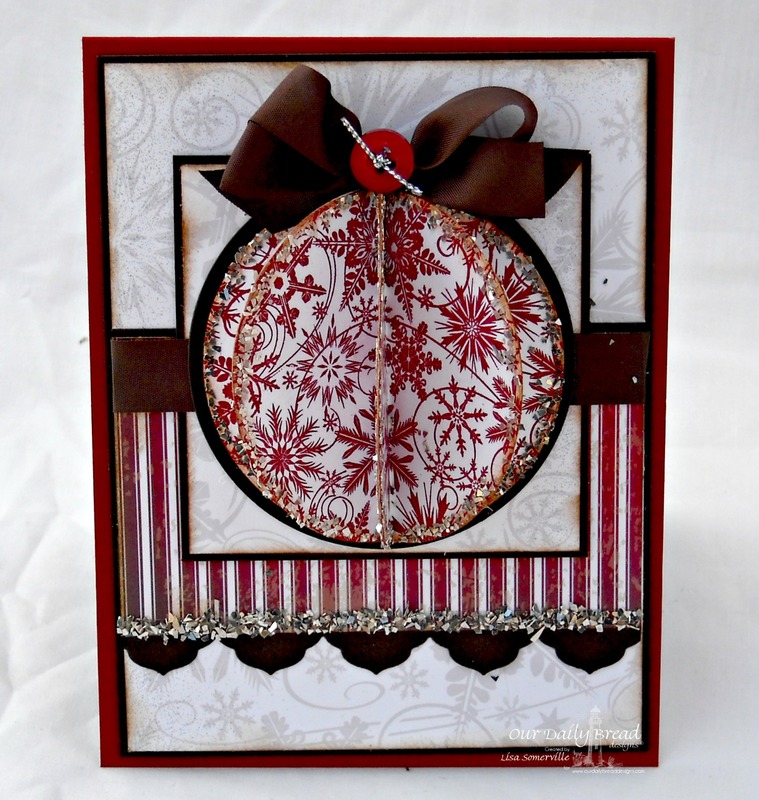 To create my Christmas card, I used stamps, dies and pattern paper from Our Daily Bread Designs. To create the 3D ornament, I stamped the Christmas Pattern Ornaments four times in Cherry ink on White card stock, then die cut them using the ODBD Custom Circle Ornaments Die, scored them down the center and adhered the panels back to back, embellishing the edges with Silver Glitter. The pattern papers are from Our Daily Bread Designs Christmas Paper Collection 2013. To embellish the top of the ornament, I added Vintage Brown Seam Binding and a button tied with Silver cording. To play along, simply create a project and be sure to include some ribbon or twine! You have until December 31st to add your creation to this post at the Ribbon Carousel Blog. One Random Challenge Participant will receive one of these wonderful Ribbon Carousels! The winner will be announced on January 6th , on the Ribbon Carousel Blog! If you've been wanting to purchase a Ribbon Carousel, be sure to get yours now, before they sell out! Corinna will be temporarily, closing down the Ribbon Carousel Store on January 1, 2014. Click here to purchase your Ribbon Carousel. Such a pretty ornament, Lisa! 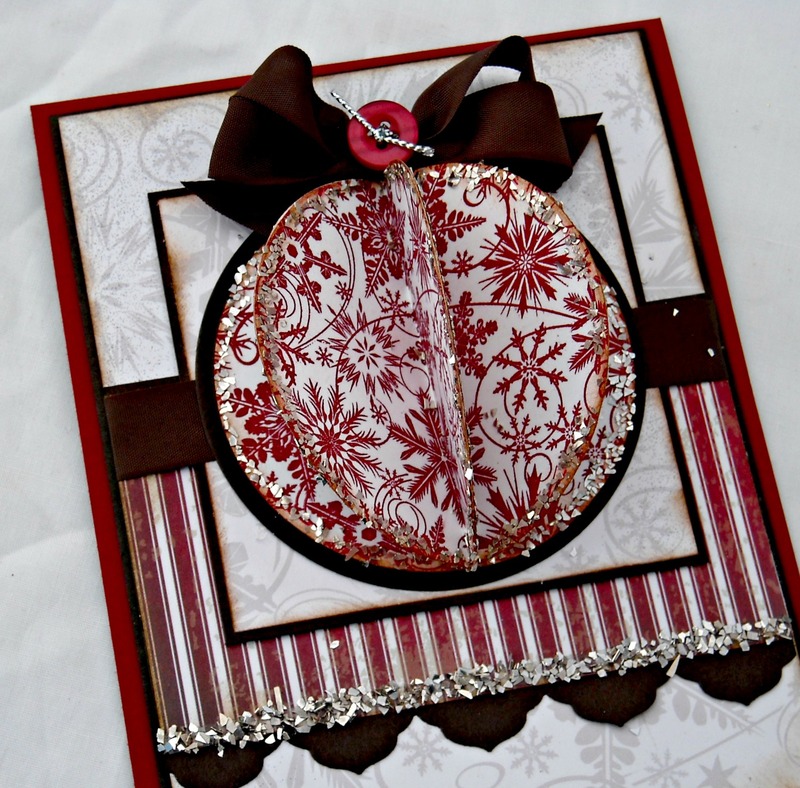 Love the red and brown with that sparkle!